Palak Dal | Spinach Dal | Palakura Pappu is a nutritious and tasty dal. 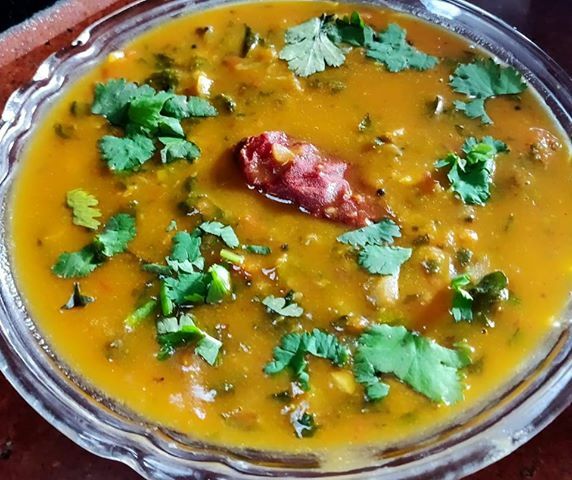 Palak Dal | Spinach Dal | Palakura Pappu is a nutrient dense and protein rich dal palak. 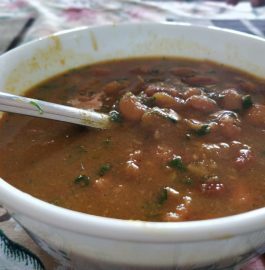 The split pigeon peas/toor dal and spinach are cooked with some spices to make this super delicious dish. This is very famous in Southern part India. Spinach helps to lower blood pressure, improve asthma problems and makes bones stronger. More the greener these spinach leaves, the taste would be amazing. So, try this recipe at home and enjoy with your family. Add dry red chillies, curry leaves , cumin, mustard seeds ,asafoetida. Saute for 10 seconds. Add chopped Ginger, garlic, green chillies. Saute for 1 minute. Add chopped onion and saute until translucent. Add tomatoes and saute until tomato turns soft. Wash spinach leaves properly, chop them. Add spinach leaves to the pan along with salt and red chilli powder. Mix and cook well. Soak tamarind in hot water for 15 minutes, mash properly, add tamarind water. Add chopped coriander leaves to it. Yummy and healthy 'Palak Dal | Spinach Dal | Palakura Pappu' is ready to be served.